This post i am explain about how to check the confirmation from email , it is very simple and easy to identify the customer email verification code. In this concept first we are going to register the details of the customer and the action.php is taken care for registering those user details in tempuser and it sent the confirmation link to the customer email, It will take the customer email from form . 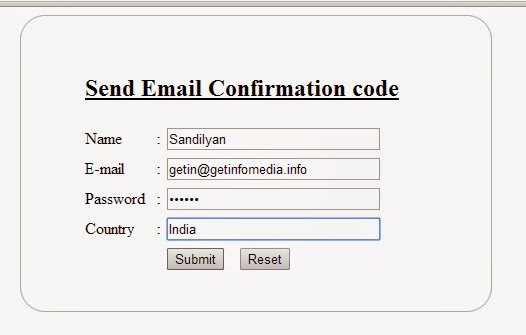 after customer click the confirmation link the confirmation.php is register the data in reguser table. 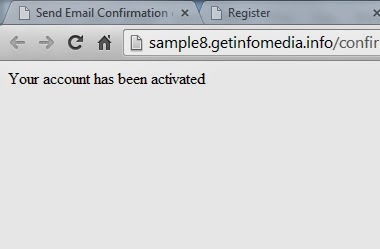 and then the user account will be activated.